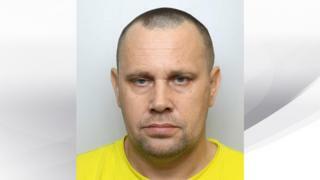 A man convicted of human trafficking in Hungary has been arrested after going on the run in West Yorkshire. Attila Foeldesi was the subject of a European Arrest Warrant after he was found guilty of multiple offences. The 45-year-old is believed to have been living in the Beeston area of Leeds and was arrested on Saturday. Hungarian authorities have been searching for Foeldesi, who was sentenced to more than five years in prison. West Yorkshire Police appealed for help to find Foeldesi, who also uses the name Foldesi, on 1 December.